Seattle, Washington is an eclectic city, with plenty to see — both historically and culturally. 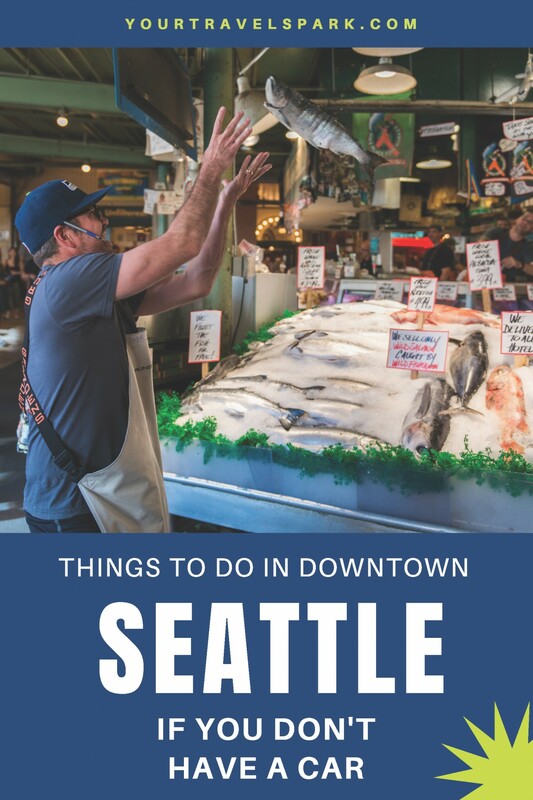 The best way to travel around Seattle is by foot — so if you find yourself in downtown Seattle and don’t want to have to drive anywhere, there are plenty of things to do in Seattle without a car. The Space Needle is an obvious tourist destination, especially for anyone visiting the city for the first time. It’s not the most exciting place to visit, but is something you should do at least once. 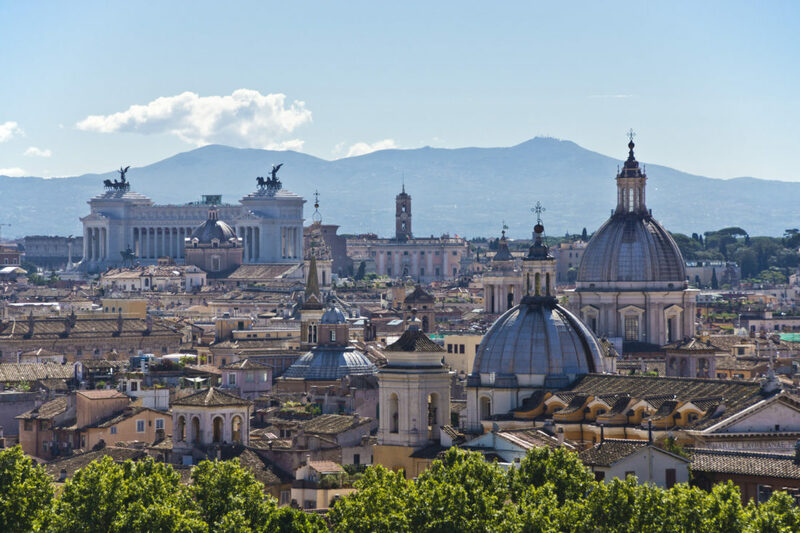 Whether or not you want to visit this iconic building, the views make a trip worth it. From the bays to the nearby mountains, you will never get a better view of Seattle than from the Space Needle. You can also eat lunch or dinner, or just get a drink, at one of the many restaurants in or around the Space Needle in Seattle. 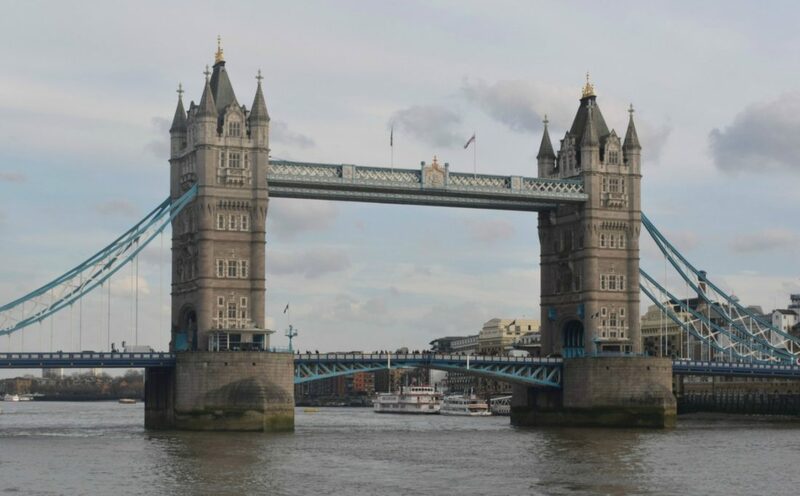 It is a short walk from the pier area, and is something every visitor should do at least once. The Space Needle is open seven days a week from early morning to evening. To visit, you may want to download their app, which allows you to download the pictures taken of you at the top of the Space Needle (you can also download them on your website). Tickets range around $30, depending on your age. Find tickets here. Around the area of the Space Needle is a number of other sites, all easily within walking distance. The Chihuly glass garden opened in 2012, and is a permanent art exhibit of artist Dale Chihuly. 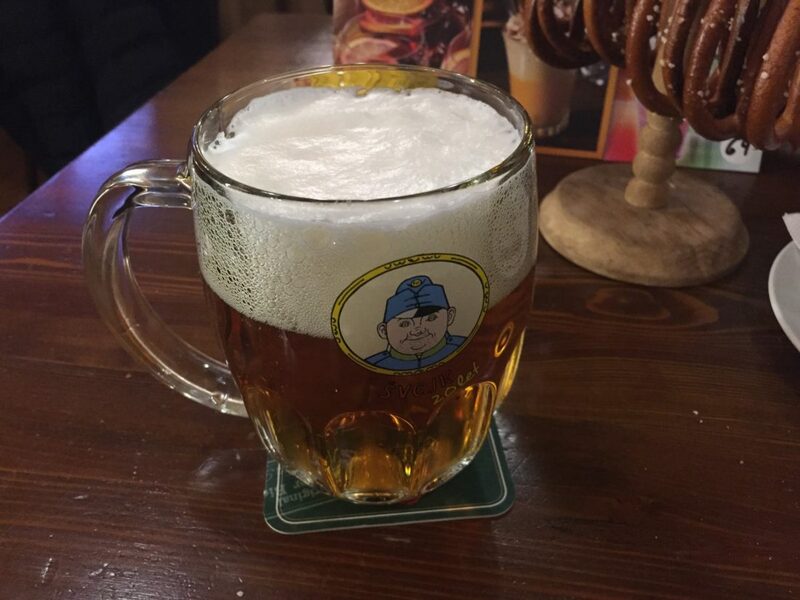 Walk through the building full of glass art, and stroll the gardens that mix real flowers and glass statues. 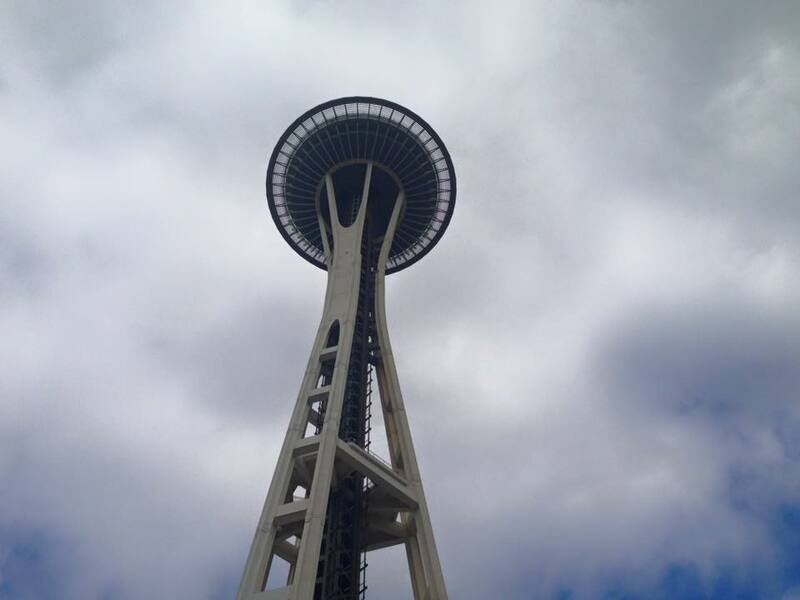 The museum is next door to the Space Needle which makes it an easy choice for your visit. 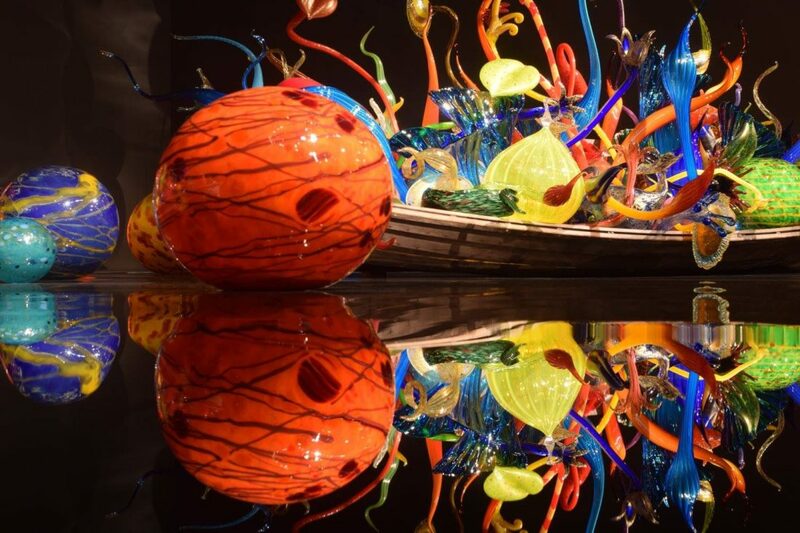 Whether or not a bunch of glass appeals to you, the entire museum is truly art. The colorful pieces of glass and how they work together is a truly amazing experience. You can easily bundle your tickets to both the Chihuly Glass Garden and the Space Needle, although that could cost you up to $50 each. 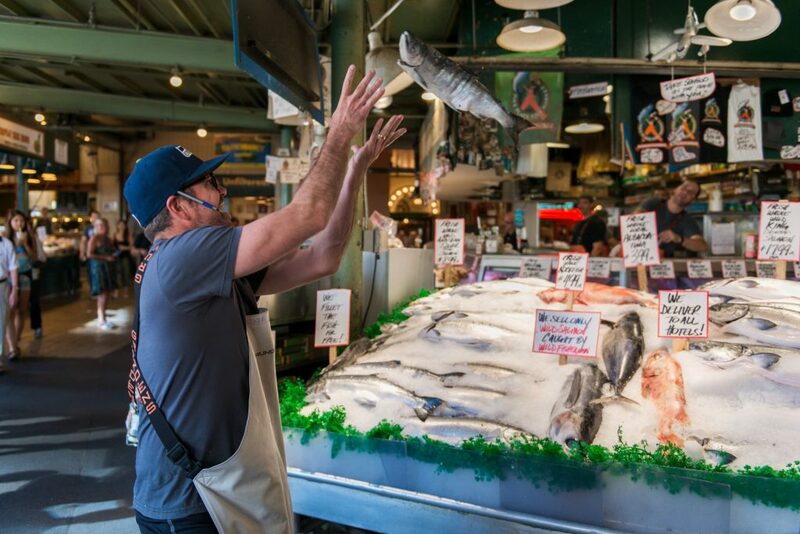 Pike’s Place Market is home to the world-famous Pike’s Place Fish Market, as well as vendors selling food, homemade goods, flowers, clothing, books, and other items. Perhaps the most famous vendor at the market is the famous fish throwers. 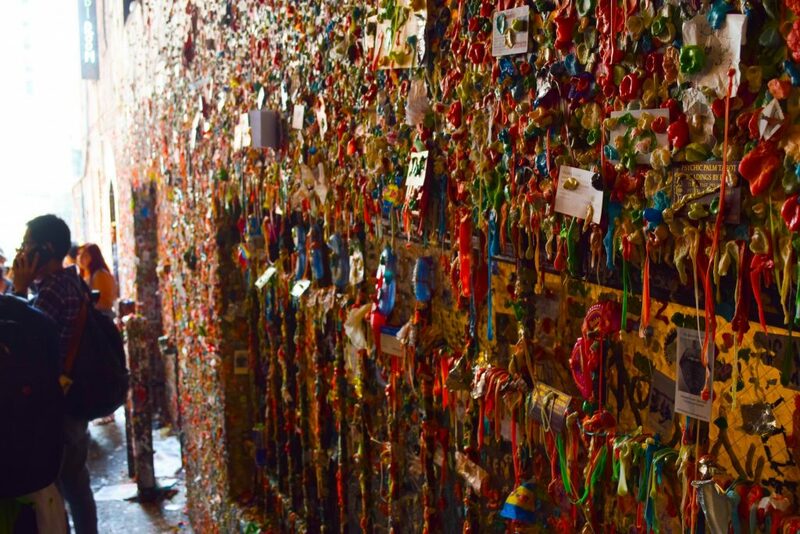 Make a point to stop by the Gum Wall at Pike’s Place Market. While gross, it is quite a sight to see. The best part about the market may be the people watching — you will find every kind of personality, as well as street performers and artists. 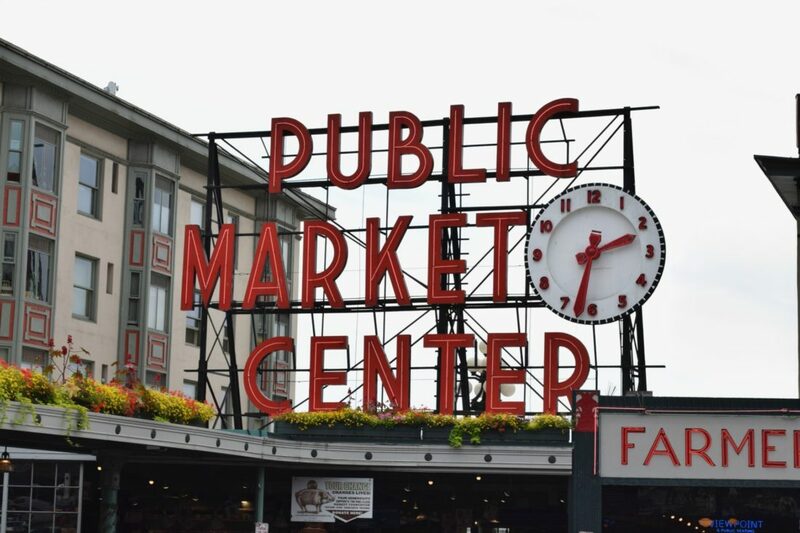 No matter what time of day you go, the Pike Place Market will be busy. So whether you are just sightseeing, or buying groceries for the night, be prepared to fight for parking and wade through crowds of people. But somehow the people is what makes the Pike Place Market the special place is it. From the Space Needle and Chihuly Garden & Glass, take a walk down to the water to Pier 57 in Seattle. 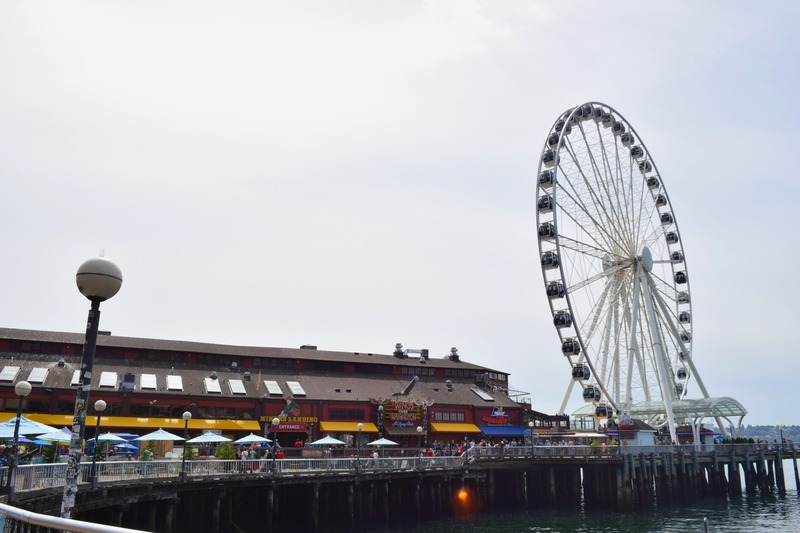 The most prominent sight at Pier 57 is the Seattle Great Wheel — a ferris wheel overlooking the water — but it has a beach pier vibe to it. With a merry-go-round, arcade games, and plenty of restaurants, it wouldn’t be hard to spend the entire day there with your family. You could easily spend the entire day at Pier 57. 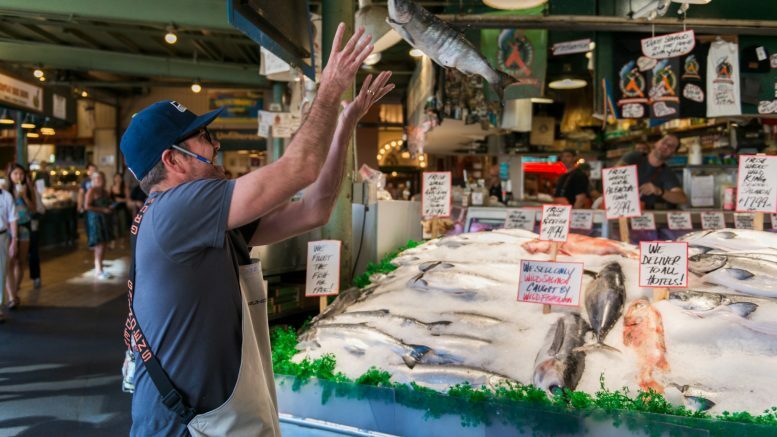 Enjoy one of the many seafood restaurants, Seattle Aquarium, or just enjoy watching the ferries sailing by. 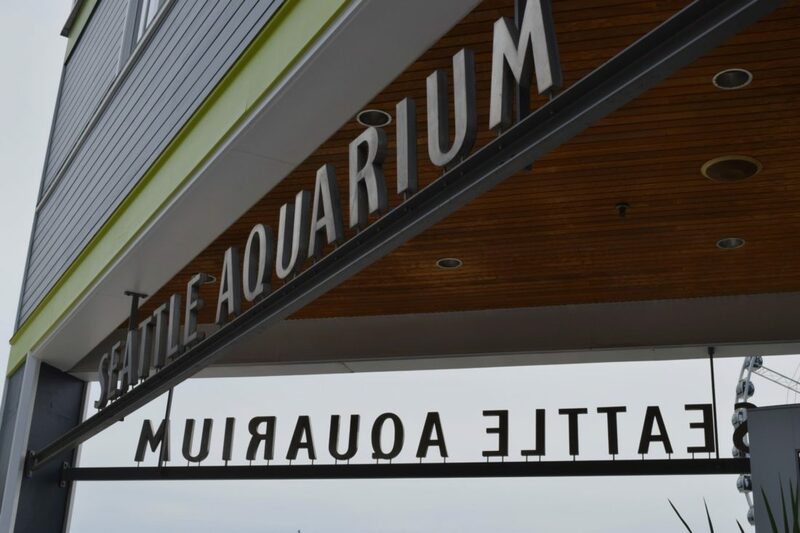 The Seattle Aquarium is considered one of the best on the west coast, and is home to fish, mammals, and other sea life. 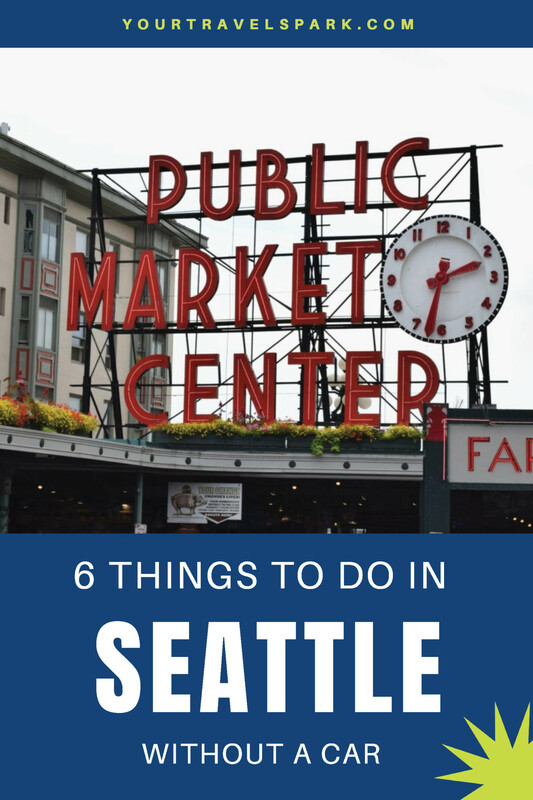 The Seattle Aquarium is just off Pier 57, and so makes a great trip to visit along with Pier 57 and Pike’s Place Market. The aquarium is large enough to spend a few hours, while enjoying your day in downtown Seattle. The original Starbucks opened in 1971 at 1st and Pike in downtown Seattle. 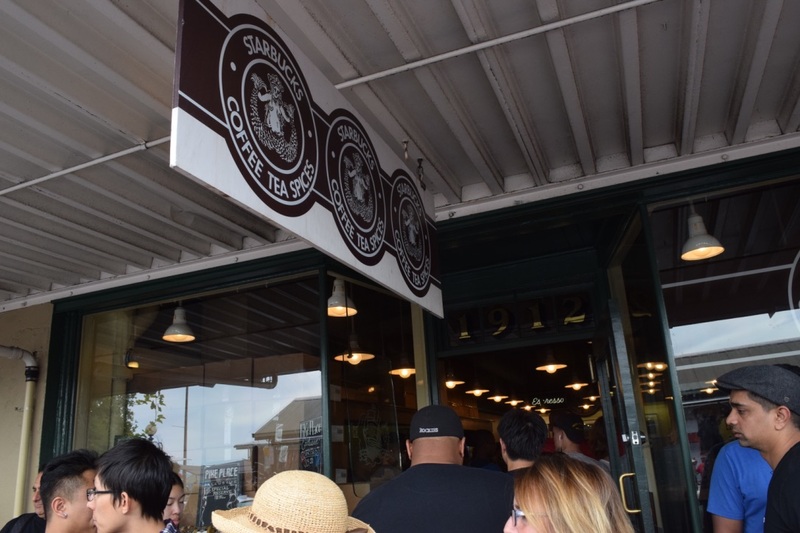 If you are looking for a cup of coffee, the store is still open today, but you may have to stand in line for a while to be able to say you went there. If you are just looking for a cup of coffee, there are plenty of Starbucks within a few hundred yards of this Starbucks (it is Seattle, after all). But if you really want the experience, be prepared to wait for up to an hour to get in. The Fremont Troll in Seattle, Washington is a little further out of downtown than everything else on the list, but still walkable (about 2.5 miles from the Space Needle). The troll is technically a public art piece. The sculpture was installed after a competition by a local arts organization to install something under the bridge in the Fremont neighborhood of Seattle. 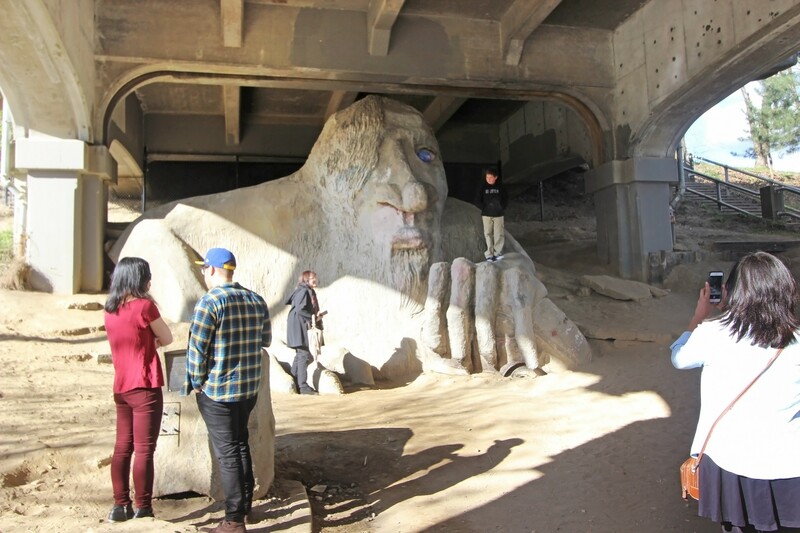 In the nearly 30 years the troll has been in existence, it has become an important piece of the culture of downtown Seattle. 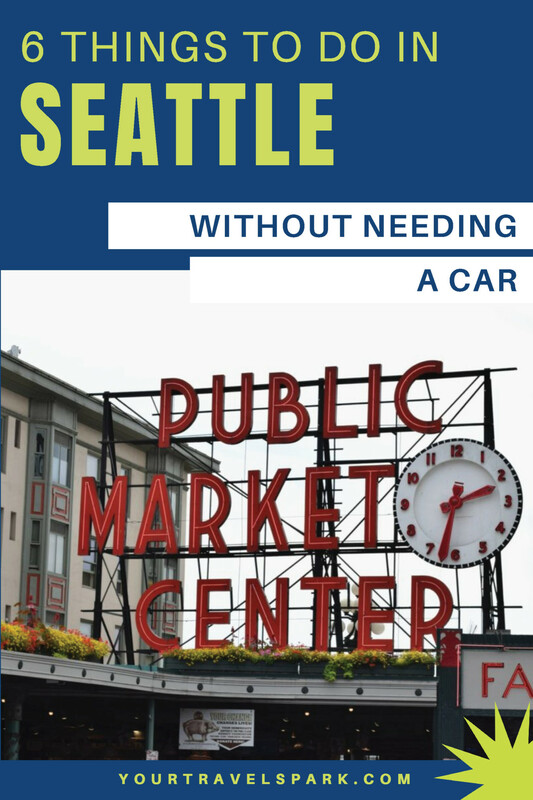 TELL US – What are some things to do in Seattle without a car? 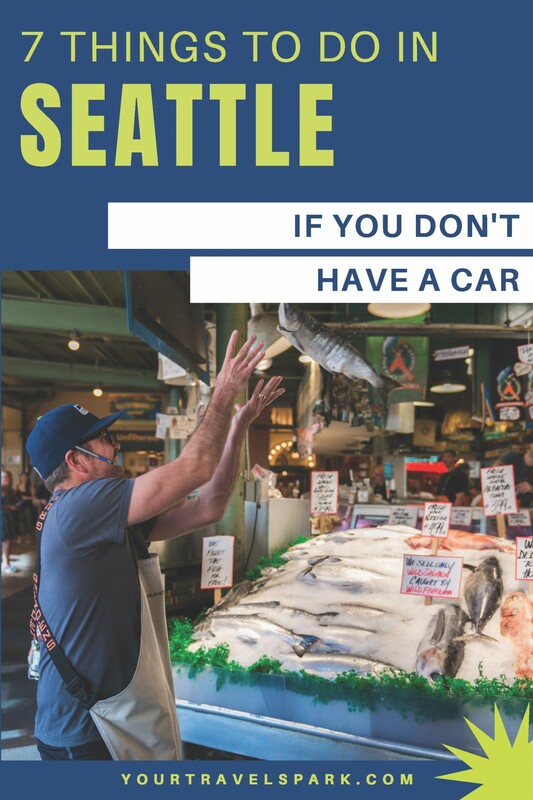 Be the first to comment on "Things to do in Seattle without a car: Space Needle, Pike’s Place, and more"